'African wax print fabric is a defining methaphor of African design, fashion and expression; an immediately recognisable icon throughout the world'. All over - but especially West and Central Africa - wax print fabric is worn by women, men and children of every social standing, from humble farmers to elite politicians. It is tailored into elaborate dresses and suits and also worn as a simple wrapper or pagne. The designs range from distinctively African motifs rooted in history to wacky object-based prints such as shoes, fans, bicycles - almost anything. 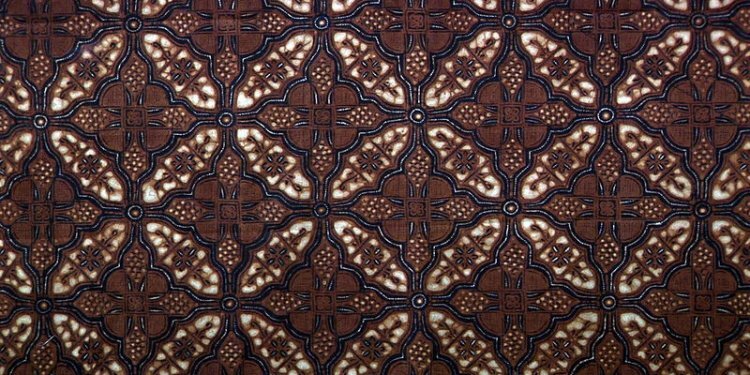 Wax print dates from the industrial revolution, when English and Dutch textile barons developed a way to mechanise batik production. The fabric found a market in West Africa and by the 1960s Europe was exporting millions of yards of fabric per year. In the early days, wax was used to create a resist before dyeing the fabrics in industrial quantities. Today, a resin has replaced the wax. Some designs also require overprinting, originally by hand using wooden printing blocks. Today, most of the fabrics you might think are wax print are not: they are cheap Chinese copies of the real thing, screenprinted onto poor quality cotton. We do not sell Chinese fabrics. All of our wax print is made in Ghana - either by GTP or ATL - which are owned by the European companies Vlisco and A Brunnschweiler, respectively. How do you recognise a genuine African wax print? Wax print is printed on both sides of the fabric, not one side like a screenprint. Wax print has two distinct irregularities: a slight misalignment of colour and design, plus a distinctive crackle effect caused by tiny cracks in the resin resist. We call these irregularities 'the perfect imperfection'. Genuine African wax print is very robust and stands up to years of washing. It's great for colourful and distinctive clothing. Many creative and innovative textile artists are using wax print in their quilts and wallhangings.